It's been 10 years since the Great Recession derailed American workers with job losses and pay cuts, making it the perfect time to check in on the state of the average American's income. After all, the U.S. economy's decade-long expansion has pushed unemployment rates to new lows, so wages must be soaring, right? Nope. Bureau of Labor Statistics data show that average weekly income for American workers has only inched up about 2% per year since the fourth quarter of 2009. 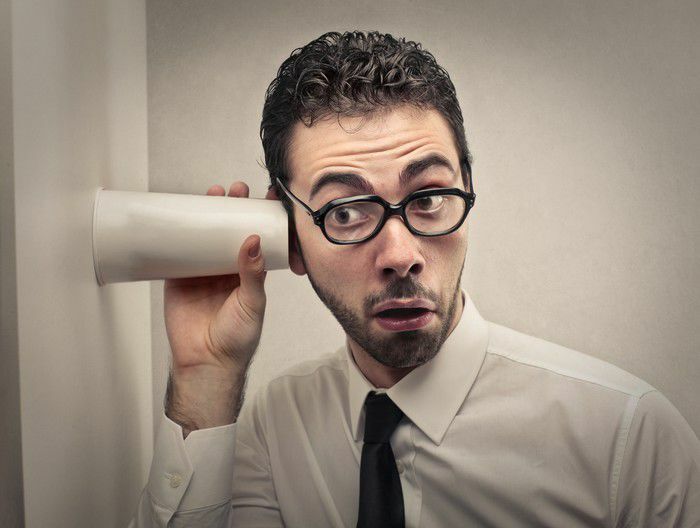 That's disappointing, but there's evidence that pay raises could be heading higher in 2019. If so, it could be smart to learn how your income compares to your peers before sitting down to negotiate your next raise. The average U.S. employee pocketed $951.50 per week in February, according to the Bureau of Labor Statistics. That works out to an annual average income of $49,478, up 3.1% from one year ago. Average income varies significantly from industry to industry, though. Workers in the utilities industry received the biggest weekly paycheck last month, while leisure and hospitality workers' average pay was lowest. Utilities workers earned an average of $1,760 per week in February, over four times more than leisure or hospitality workers' average pay. 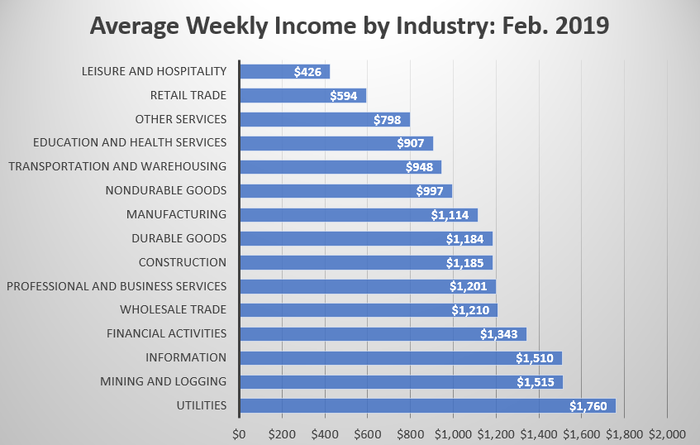 The following chart shows average weekly income for U.S. workers across the major industries. Income hasn't made a lot of headway higher over the past 10 years, but tailwinds to income from tight employment markets may finally be translating into higher pay. In 2018, pay increased by over 3% for the first time in years, according to the Society for Human Resource Management, and in December, a study from Mercer found that employers' budget for worker pay was expected to climb to 3.4% in 2019. Previously, Mercer had said budgets would expand by 3.2% this year. The upward revision in budgets may reflect a growing realization that attracting and maintaining quality workers is getting increasingly harder, as unemployment has remained near 3%. The most common reasons cited by employers for the increase in their payroll budgets were greater competition for workers and improving business performance. If an increase in income is headed your way in 2019, then it could be the perfect time to remember that income alone doesn't guarantee financial security. What you do with the money you make has the greatest impact on your future. Yet many people fail to make the most of the money they earn. Although most employers offer retirement savings accounts, such as 401(k) or 403(b) plans, many don't take advantage of them and fewer still contribute as much money as possible. The average person is putting about 7% of their pay in an employer-sponsored retirement plan, but that's unlikely to be enough to produce enough money in retirement. For instance, a person with an average income of $50,000 contributing 7% annually to an investment returning an average 6% annually will wind up with $390,026 in 35 years. That sounds like a lot until you consider most financial planners recommend withdrawing no more than 4% of your assets annually to avoid outliving them. Using that 4% rule, this worker would only be able to pocket $15,601 per year in retirement income from savings. To avoid the risk of falling short in retirement, aim to contribute 10% to 15% of income annually to savings. If you're not saving that much yet and money's too tight to increase your savings rate all at once, commit to increasing your contribution by 1% to 2% per year until you reach that target. Many employers offer auto-escalation features that can make this strategy simple, and since the small annual increase can be offset by annual raises, it won't bust your budget.